CensusCensusCensus 2018 is nearly here. Check out this item to find out what you need to do to prepare. There have been a number of updates to the PLD calendar this week so please make sure you check it out well in advance of heading off to your booked session. The next giveaway day is being held on Saturday 10th March at Nuanua Kindergarten. If you have any goods you wish to donate to this giveaway day we would appreciate them to be dropped off to us at the office throughout the week of Monday 5th March. Donated goods could include clothing, bedding, kitchen utensils, furniture and linen. Stuart Macann has been utilising the following resource and though it would be great to share with you all. I've been really enjoying using the free 'Tōku Reo' podcasts to learn Te Reo Māori. I listen to them in the car to and from work, so it's an easy, convenient way to progress in Te Reo. As well as podcasts heaps of other free resources are available from the 'Tōku Reo' website. The podcasts that can be downloaded are MP4s, with simple videos. I didn't want the videos for using in the car so I have them all downloaded and converted to MP3 (audio files suitable for any smartphone, iPod etc.). If anyone would like the MP3 version of the podcasts please email me: stuart.macann@wmkindergartens.org.nz. Whānau Manaaki Kindergartens agrees with school principals that the Ministry of Education’s learning support service is in crisis. The New Zealand Principals Federation says waiting lists are too long for children needing extra help at school and Whānau Manaaki says waiting times for early intervention services (for preschool children) are even longer. Whānau Manaaki Kindergartens runs 85 kindergartens and a homebased service in the lower North Island. "Children face unacceptable delays before being assessed and provided with services", says Amanda Coulston, Chief Exeuctive of Whānau Manaaki Kindergartens. Even once assessed and qualifying for support, that support is inadequate she says. The Head Teacher of Bellevue Kindergarten in the Wellington suburb of Newlands, Sue Scott, is speaking out because the service is short-changing children. Sue says children with severe needs get two and a half hours a day of support, with a maxiumum of seven and a half hours a week. For children who need an adult support at all times to ensure their safety, this is simply not good enough. “The lack of support for high needs children impacts hugely on the child, but also on the remainder of the group” she says. Sue says some parents feel obliged to stay at kindergarten because their children’s needs aren’t being met by the service, while others take children home early because of inadequate support hours. Both these situations place additional stress onto children and families. Whānau Manaaki Kindergartens welcomes an announcement from the Minister Chris Hipkins that more money will be spent on learning support, but Sue Scott says that extra can’t come quickly enough. It’s time for you to do your part to build a snapshot of the people and places that make up New Zealand. This time around, the census is online, and you’ll be given everything you need to take part soon. In late February, every household in the country will receive a census access code. For now, just look out for it arriving in your letterbox and keep it somewhere safe. Your household will need this access code to complete the census on or before 6 March 2018. Whānau Manaaki is involved in the Stats NZ Pasifika Strategy to encourage and support Pasifika families to engage and complete the Census 2018. Some of our kindergartens will be offering support or assistance to their Pasifika families to complete the Census online. All our kindergartens can support their families and communities to complete the Census. We as staff of Whānau Manaaki should lead the way in completing the Census 2018 ourselves. Make it count because we matter too. Scroll to the top and check out more information about the Census in the left hand column. 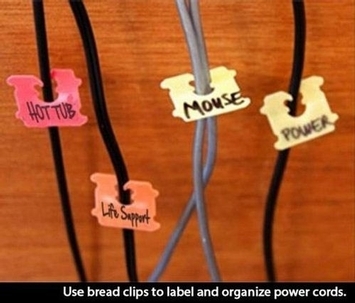 Do you have numerous electrical and cell phone cables lying around? Ever picked one up and wondered what device it was for? Check this out! An awesome idea and a great way to recycle!